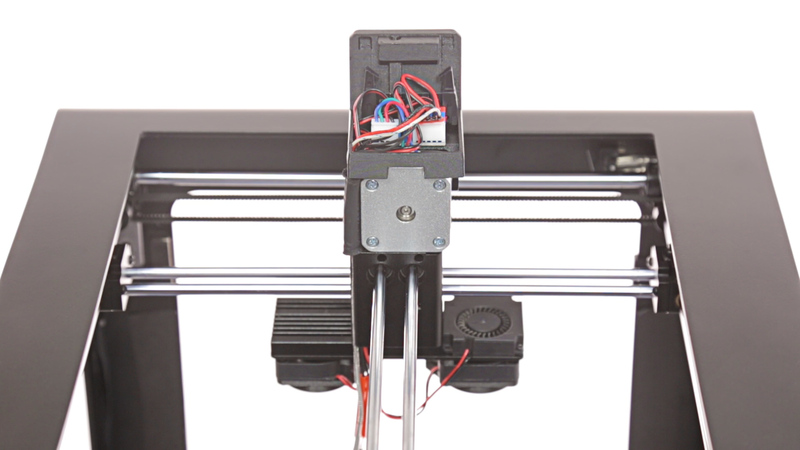 The extruder is equipped with three fans – one upper and two lower. 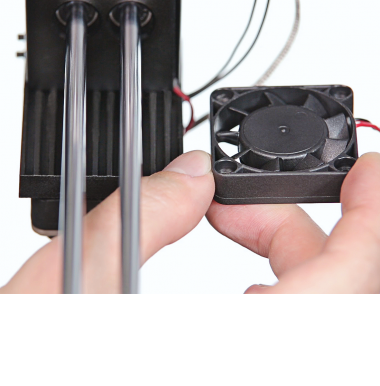 The main role of the extruder upper fan is to cool down the extruder, whereas the extruder lower fans cool down each layer of a print. 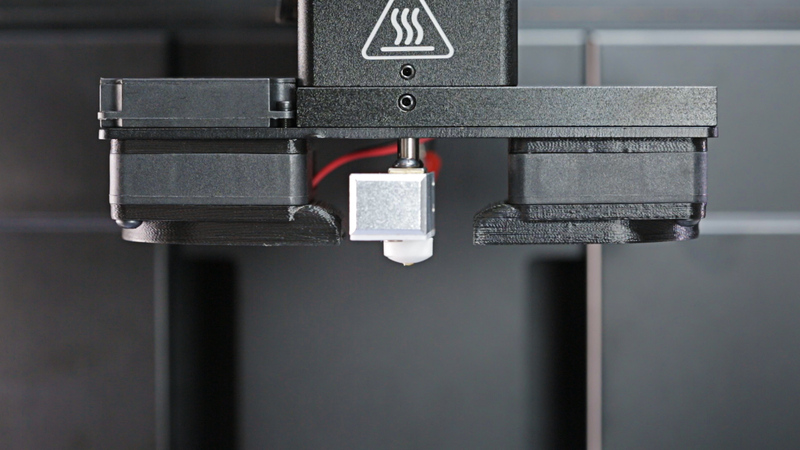 Therefore, if you notice that your models melt, warp, or there are burn marks on their surface, at first check if the fans on the extruder are functioning properly. You can carry out a fan test using the option available in the Tools menu. 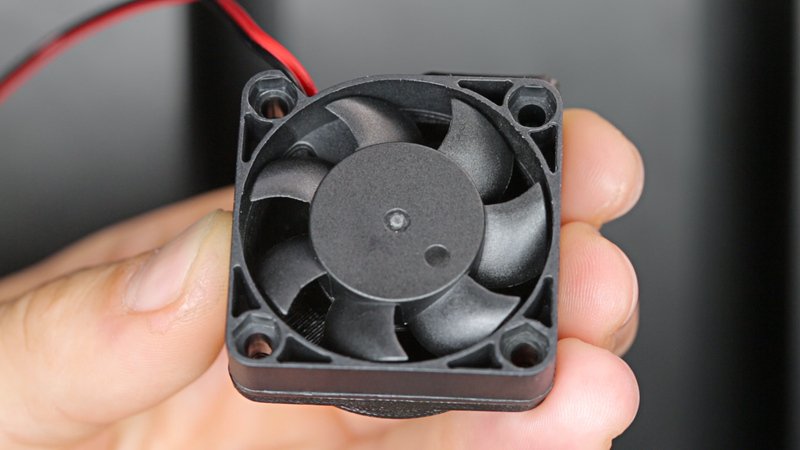 If the blades of the fans do not spin, the fans need to be replaced. 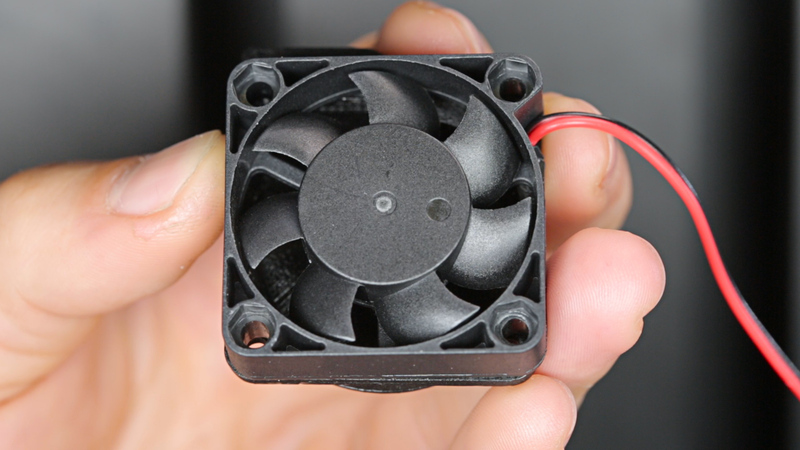 This manual shows how to replace all three extruder fans. 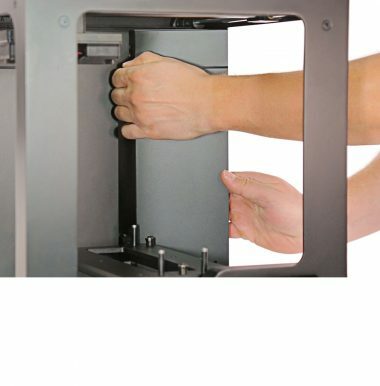 The following manual shows the M200 Plus repair work. For the M300 Plus, these procedures are the same. Detach the extruder upper cover from the extruder. 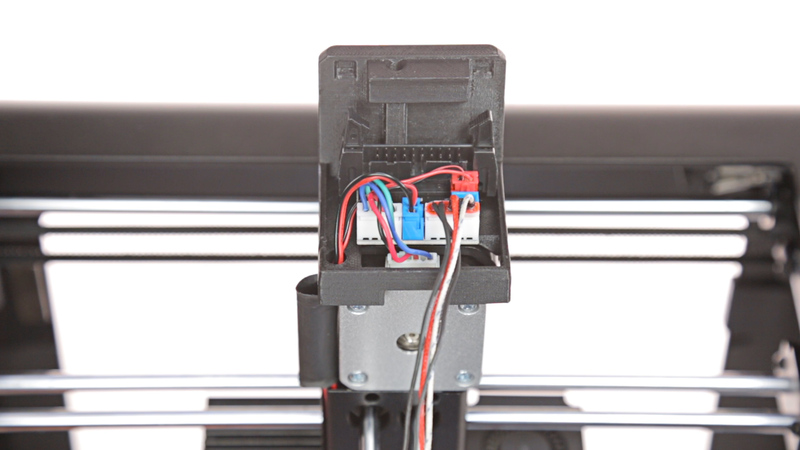 Detach the material guide and unplug the extruder cable. 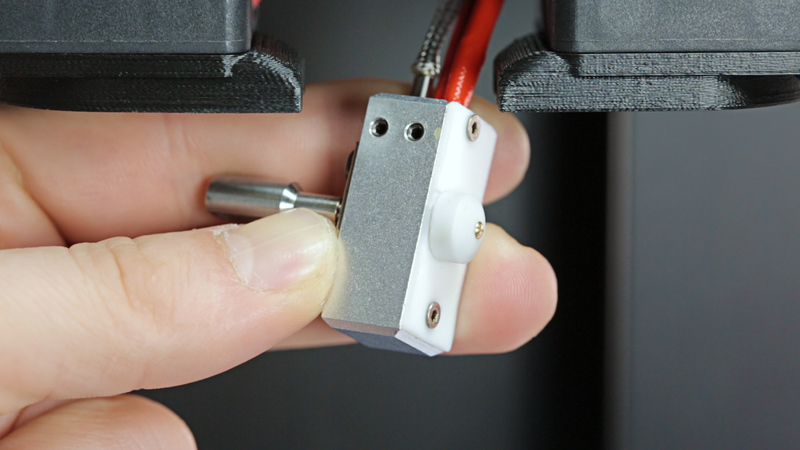 With a 1.5mm Allen key loosen the two screws that secure the hotend and remove the hotend from the extruder. 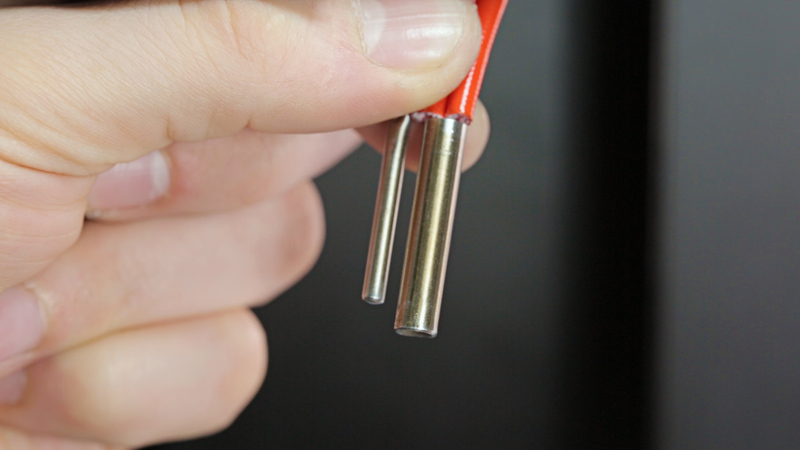 With a 1.5mm Allen key loosen the two screws that secure the heater and thermocouple in the hotend. 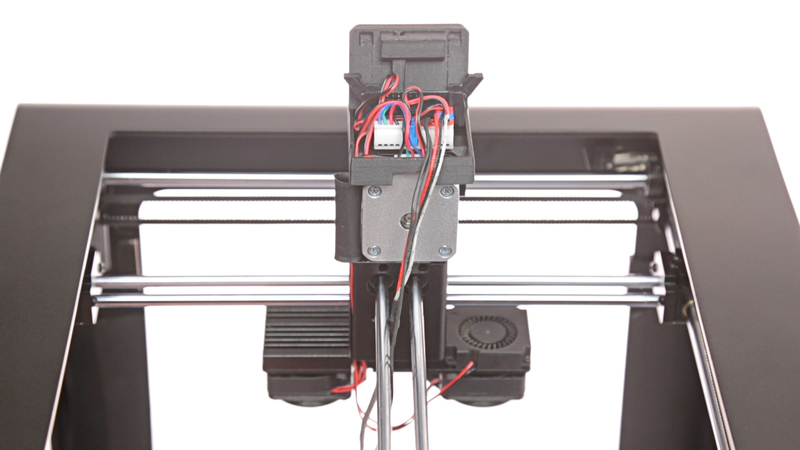 Then remove both the heater and the thermocouple from the hotend. 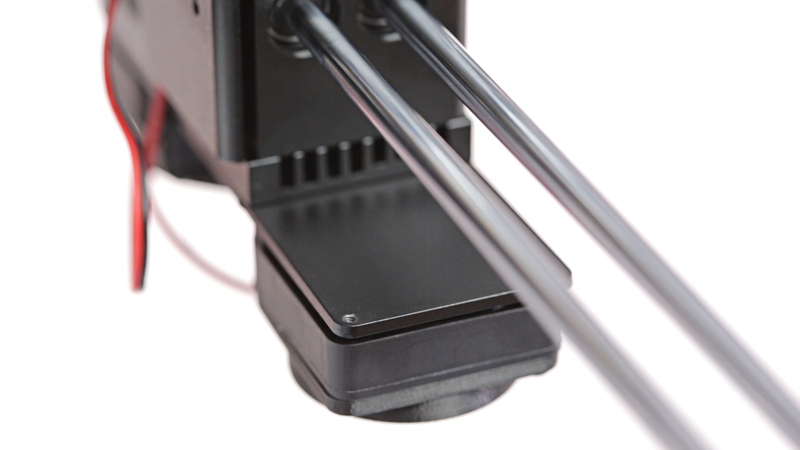 Remove the heater and thermocouple from the extruder block and the heat shrink tubing. 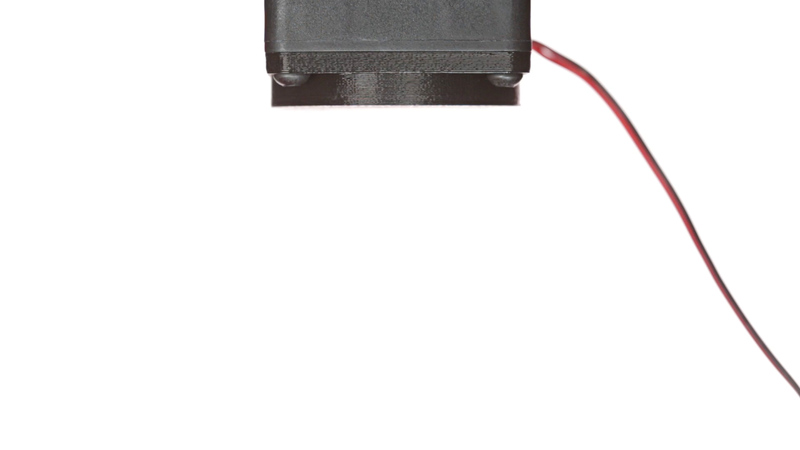 Unplug the red connector from the extruder PCB. Remove the cable from the heat shrink tubing. 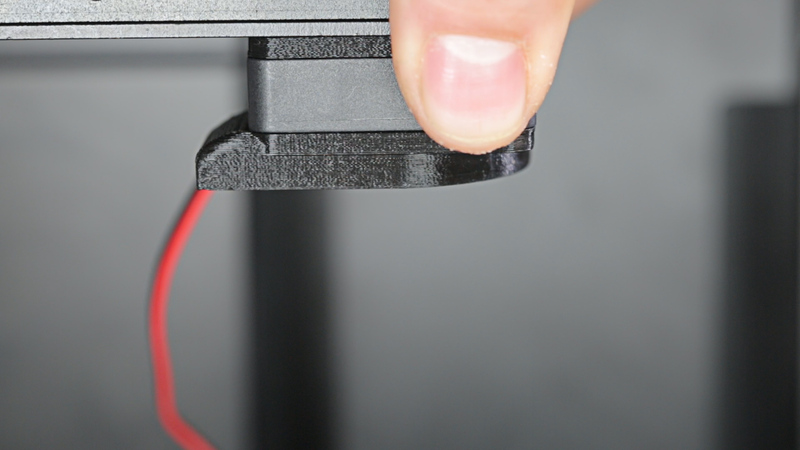 Unscrew the two screws that secure the extruder upper fan. Remove the fan. 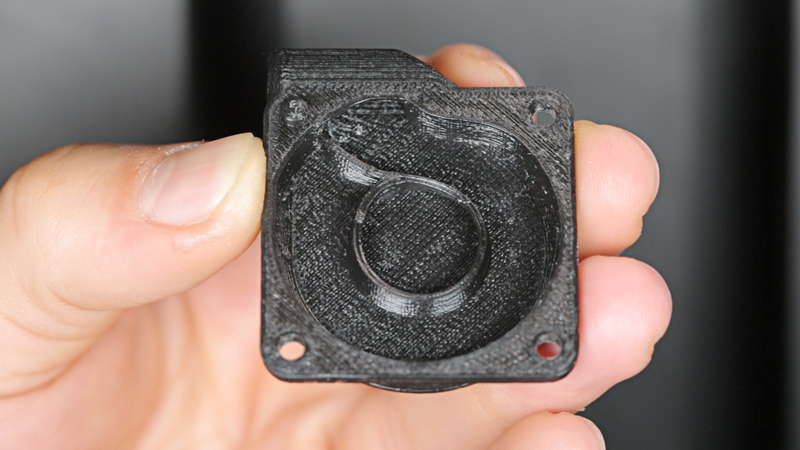 Place the extruder upper fan on the heat sink next to the extruder alumium block. 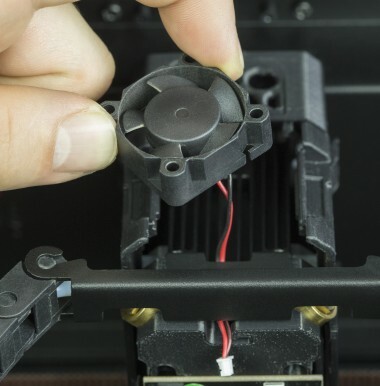 Secure the fan with the two screws. 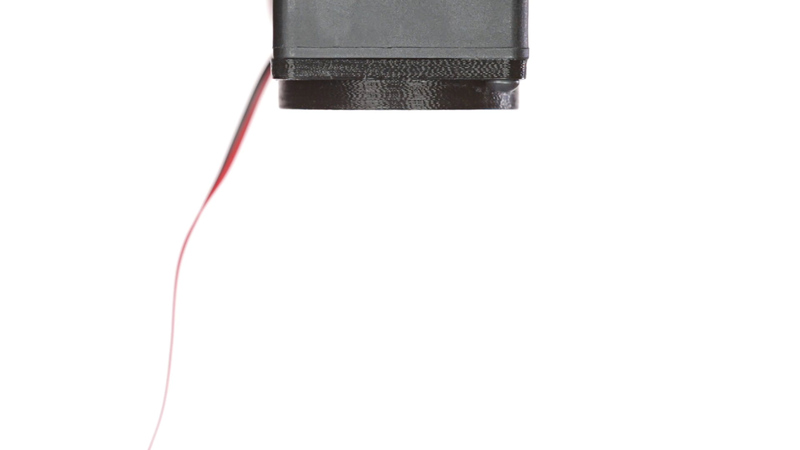 Pass the extruder upper fan cable through the heat shrink tubing and plug in its connector. 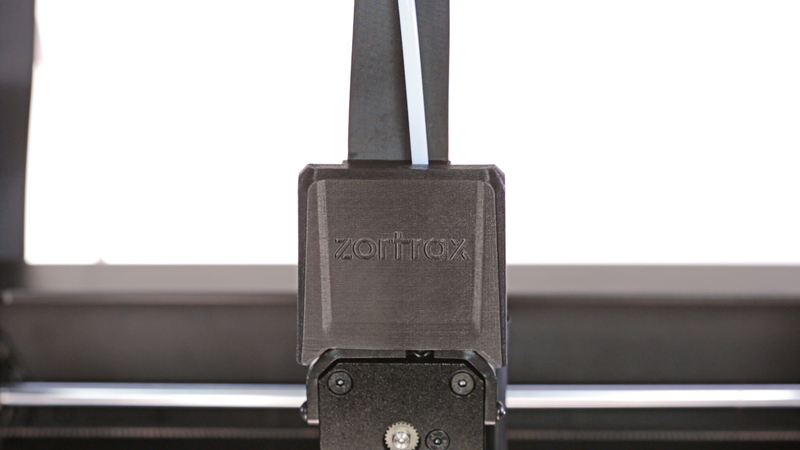 CAREFULLY PUT THE CABLE IN THE GAP IN THE EXTRUDER ALUMINUM BLOCK. BE CAREFUL NOT TO DAMAGE THE CABLE. 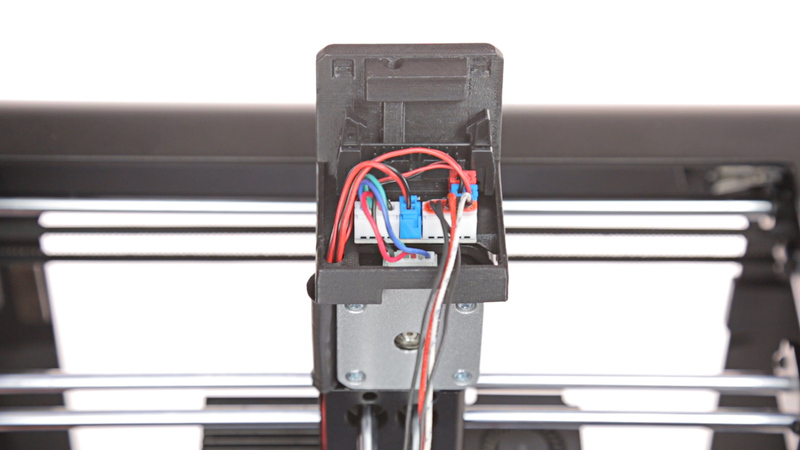 Unplug the blue connector from the extruder PCB. 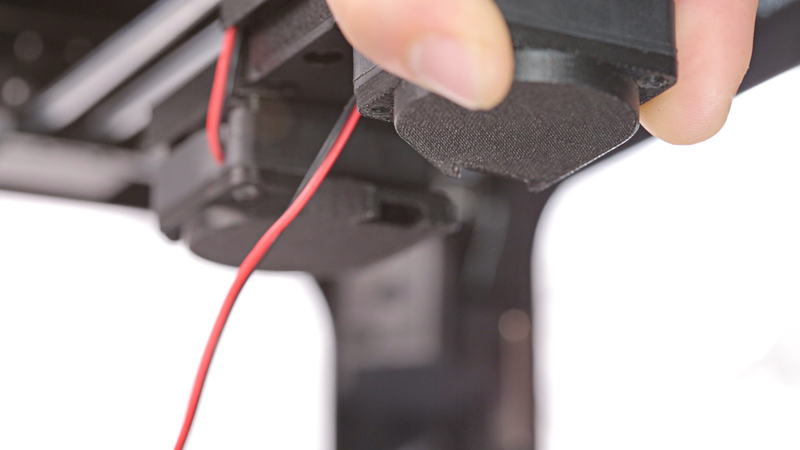 Remove the cable from the heat shrink tubing. 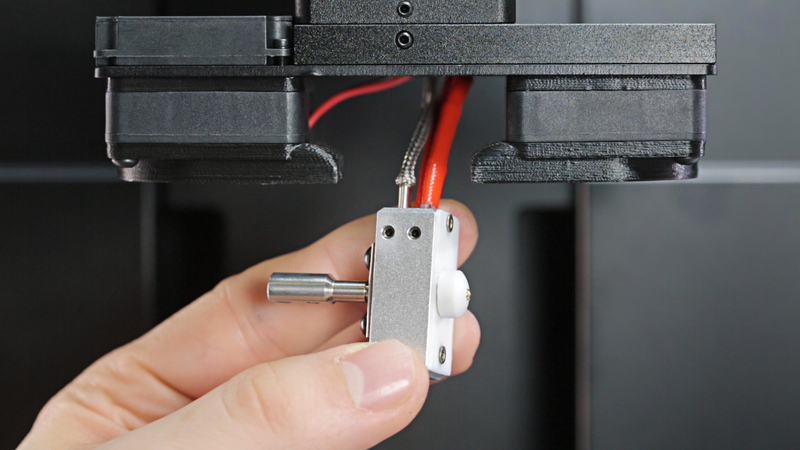 Unscrew the two screws that secure the extruder lower fan. 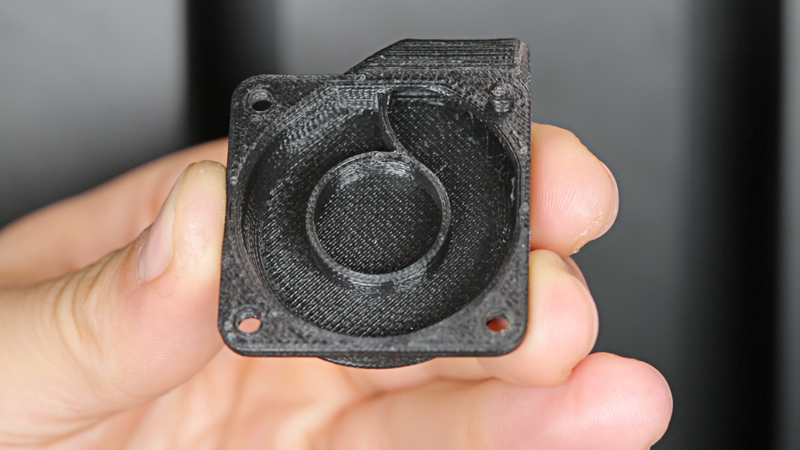 Separate the extruder lower fan from the heat sink and remove the distance piece. 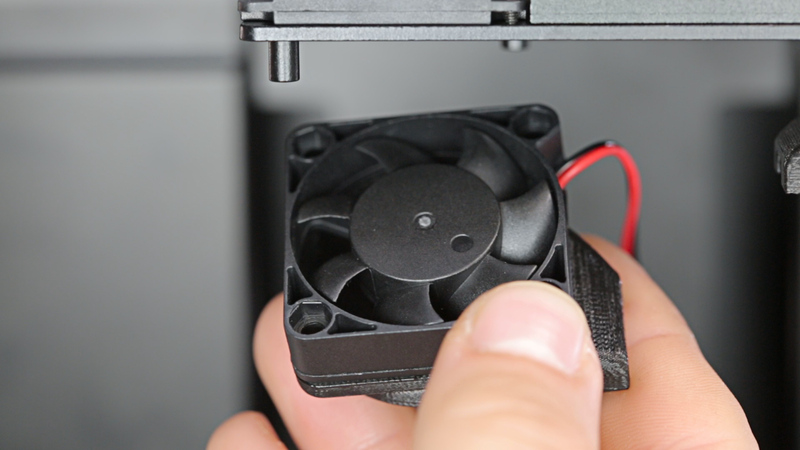 Separate the extruder lower fan from the fan shroud. Put the fan shroud together with the new extruder lower fan. 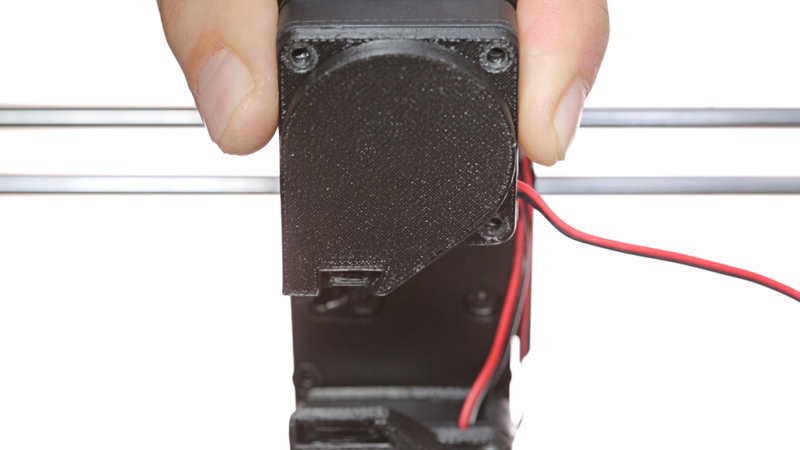 Place the distance piece on the extruder lower fan. 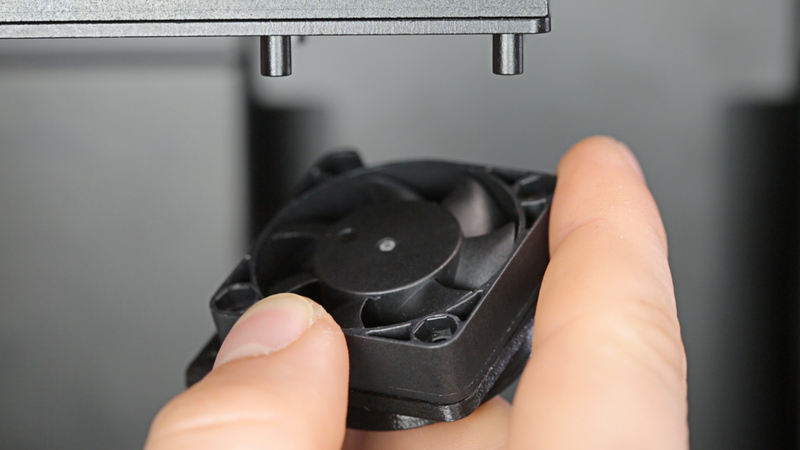 Install the fan under the heat sink. 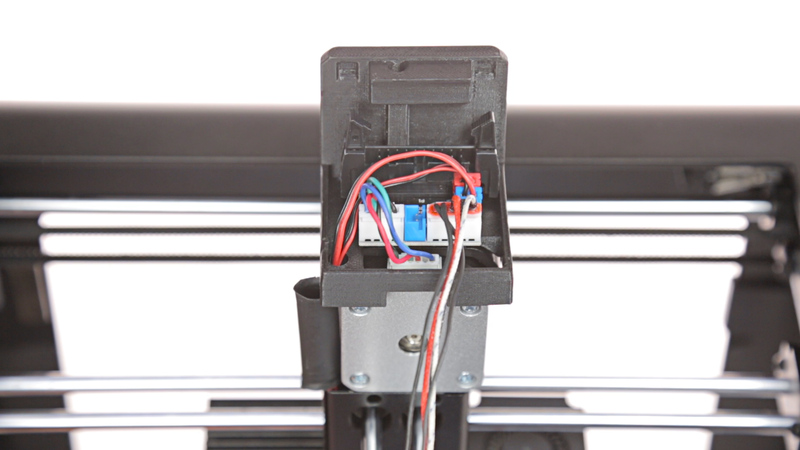 Secure the extruder lower fan with the two screws. 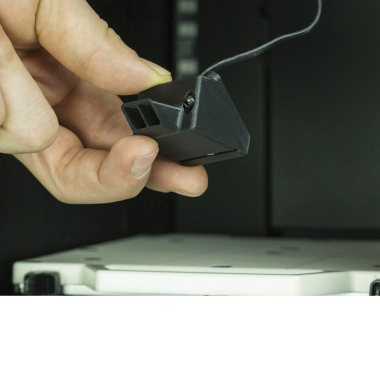 Put the extruder lower fan cable through the heat shrink tubing and plug it in. 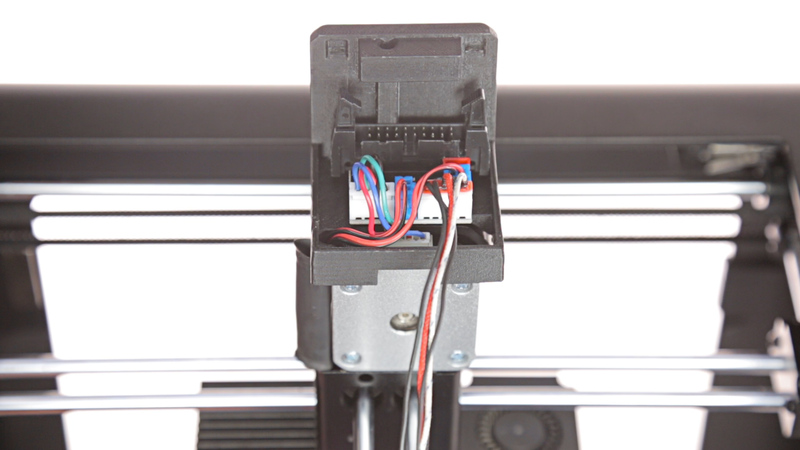 Unplug the other blue connector from the extruder PCB. 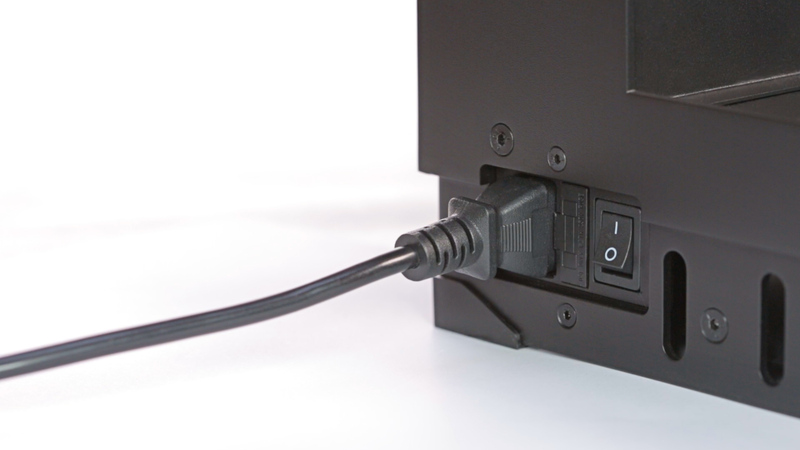 Remove the cable from the heat shrink tubing. 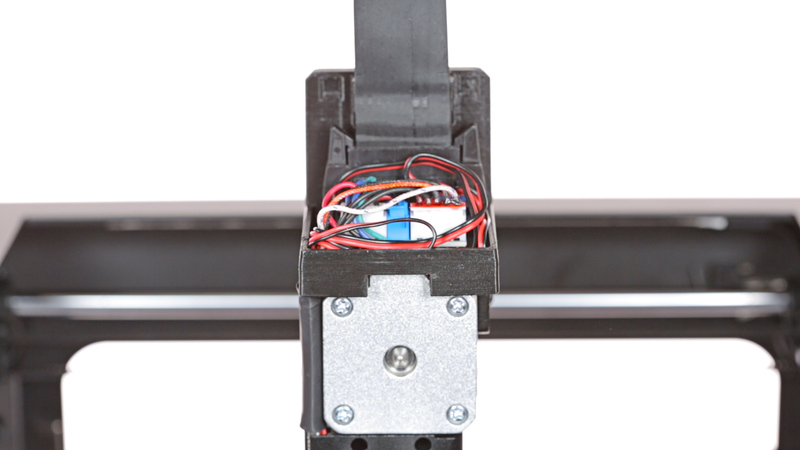 Unscrew the three screws that secure the extruder lower fan. 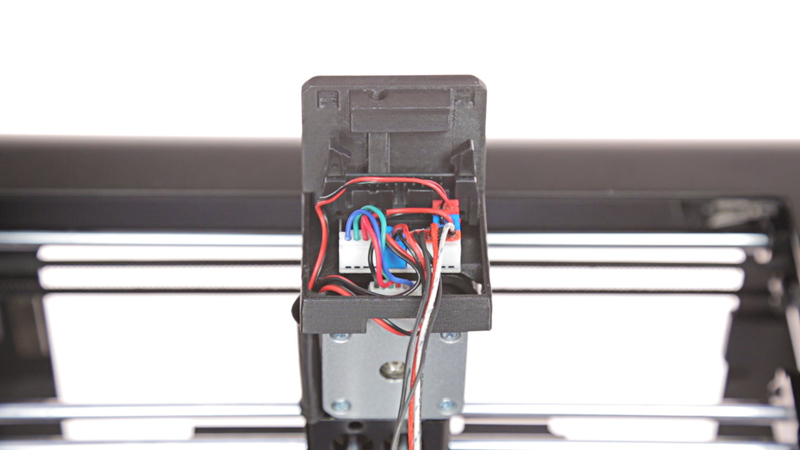 Secure the extruder lower fan with the three screws. Put the heater and thermocouple cables through the heat shrink tubing. 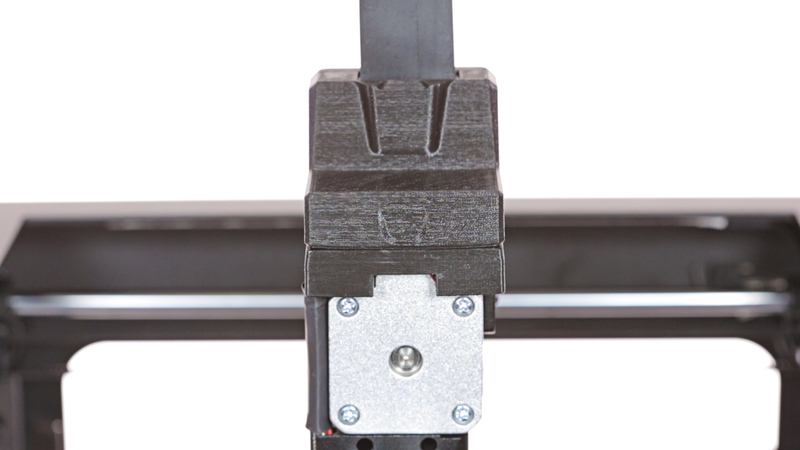 CAREFULLY PUT THE CABLES IN THE GAP IN THE EXTRUDER ALUMINUM BLOCK. BE CAREFUL NOT TO DAMAGE THE CABLE. 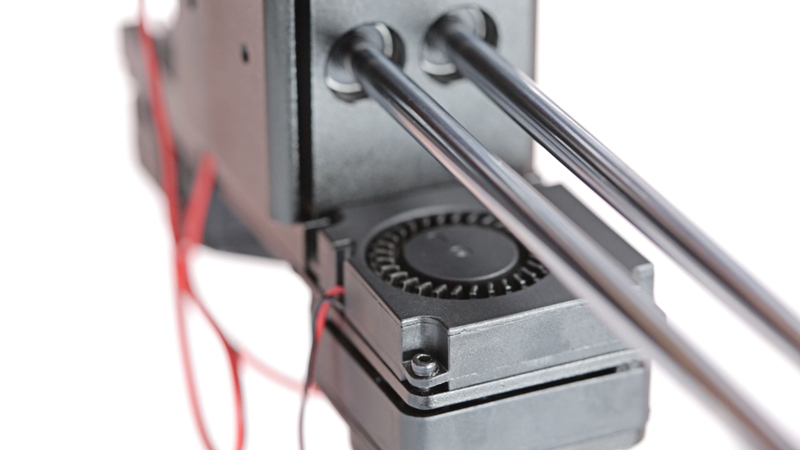 Insert the heater and thermocouple into the hotend and firmly tighten the two screws (using a 1.5mm Allen key). 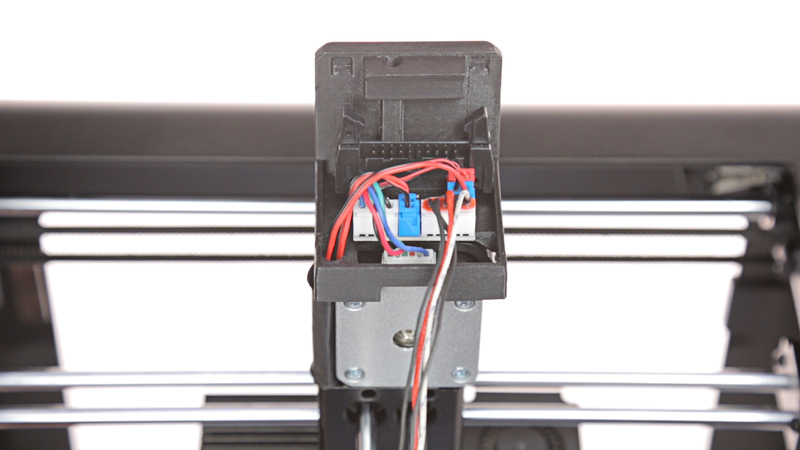 Insert the hotend into the extruder and tighten the two screws that secure it (using a 1.5mm Allen key). 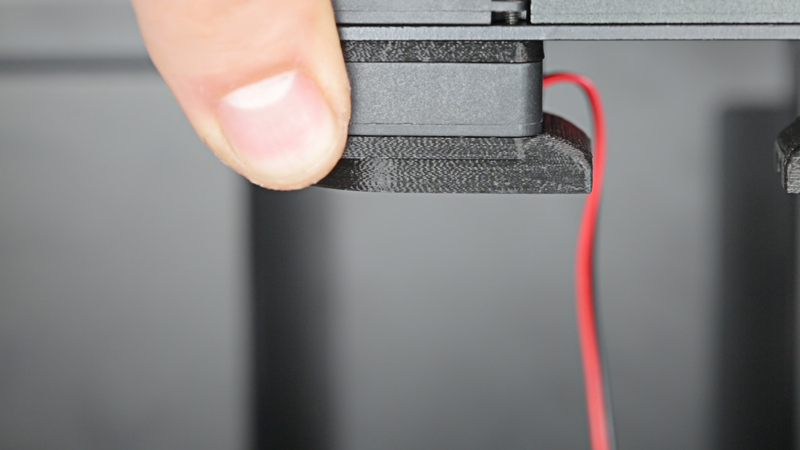 Plug in the extruder cable and attach the material guide to the extruder top cover. 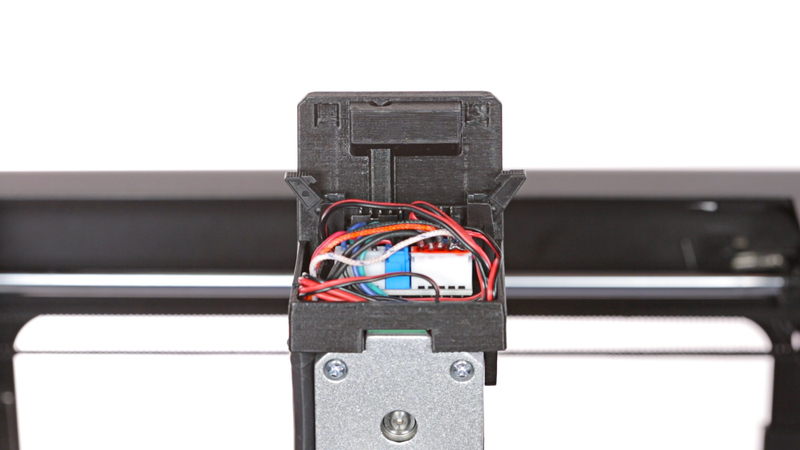 Attach the extruder upper cover to the extruder.